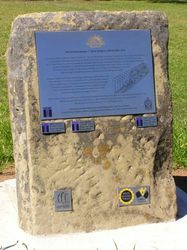 The Hill 60 Memorial commemorates the Hunter Valley Miners who served in the three Australian Tunnelling Companies which operated on the Western Front during World War One. 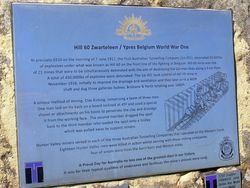 At precisely 0310 on the morning on 7 June 1917, the First Australian Tunnelling Company ( 1st ATC), detonated 53,500lbs of explosives under what was known as Hill 60 on the front line of fighting in Belgium. Hill 60 mine was one 21 mines that were to be simultaneously detonated with the aim of destroying the German lines along a 9km front. A total 450,000 lbs of explosive were detonated. 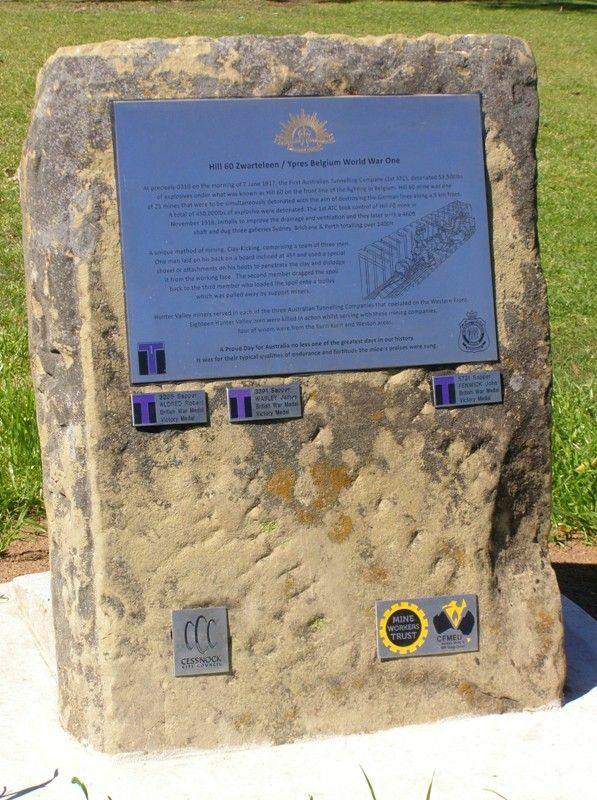 The 1st ATC took control of Hill 60 mine in November 1916, initially to the drainage and ventilation and they later sunk a 460ft shaft and dug three galleries Sydney, Brisbane & Perth totalling over 1400ft. A unique method of mining, Clay-Kicking, comprising a team of three men. One man laid on his back on aboard inclined 45° and used a special shovel or attachments on his boots to penetrate the clay and dislodge it from the working face. The second member dragged the spoil back to the third member who loaded the spoil onto a trolley which was pulled away by support miners. 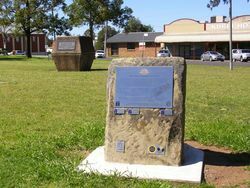 Hunter Valley miners served in each of the Australian Tunnelling Companies that operated on the Western front, Eighteen Hunter Valley men were killed in action whilst serving with these mining companies, four of whom were from the Kurri Kurri and Weston areas. A Proud Day for Australia no less one of the greatest days in our history. It was for their typical qualities of endurance and fortitude the miners praises were sung.